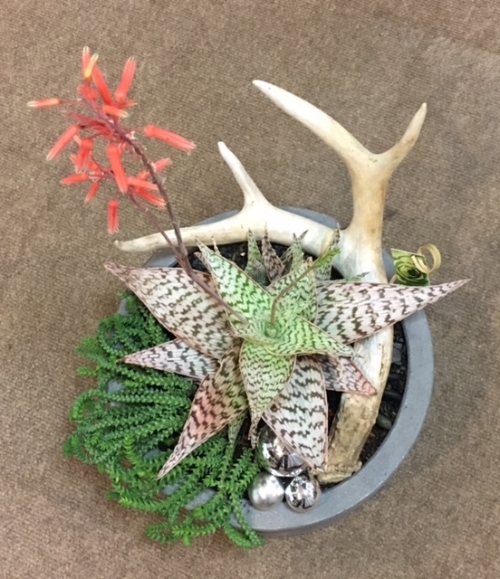 A single incredible succulent or an interesting vessel can ignite our design process. Sometimes our creations emphasize quiet simplicity, with a twist, or evolve into a striking statement-piece. Sizes 10.5"-19" diameters available- from $135-$325. Lg: 11"w x 14" d x 5"h- $65 / Sm: 7.5"w x 10"d x 4"h- $48. 20"w x 3"d x 8"h- $ 125. (as shown) / 12"w x 3"d x 7"h- $75. To place an order, please call 415.300.5730 or fill in the form below and we will contact you to confirm your order, take delivery details & payment. We have gift cards, too. Simply add the amount you'd like to give (in increments of $50) in the Message field and we'll mail the card to you or your recipient. 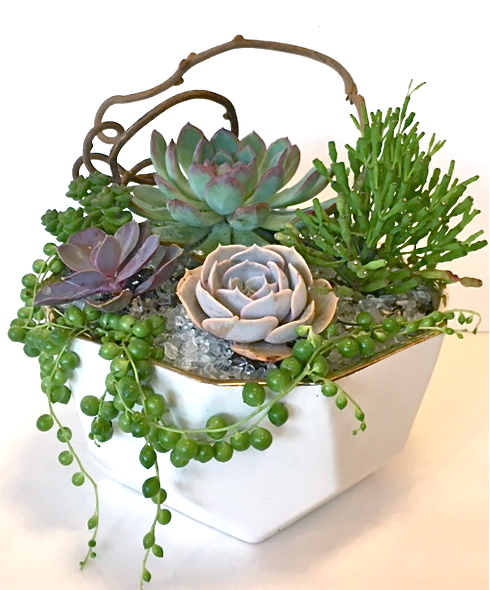 All sizes are approximate; Designs may vary depending on availability of components such as succulents, branches, logs and various containers.